Bariatric surgeon from India explains gastric bypass surgery. Surgeon states that gastric bypass is considered as the gold standard in bariatric surgeries. He also considers it as the best procedure for controlling diabetics. It is also known as laparoscopic gastric bypass surgery.Gastric bypass is a restrictive as well as mal-absorptive procedure. Due to low cost of gastric bypass surgery in India, internationally trained doctors and cutting edge technology at the hospitals, people from different countries across the world fly here for their surgery. In the above weight loss video, he talks about his education and experience, and also discusses the results after gastric bypass. Below is the video narration. “Well the Gastric Bypass is actually considered the gold standard because it’s been around a long time. For diabetics, it probably is the best procedure. The good thing is that we can do any of these procedures laparoscopically. And we have had great results with all these procedures. I have been in top centers in United States for my training and while I was working in New York. The facilities here are good if not better than most centers in the world, both in terms of expertise and the physical structure as well as the equipment. We have the latest high definition audio-visual equipment in the operating theaters. We have the same instrumentation that are used in New York. And the rooms are excellent. The support staff is quite good and in terms of my training, I trained in the US. I have done more than 800 bariatric procedures and with excellent results. I think whoever wants to get bariatric surgery and can’t get it done US because of all the expenses should be absolutely fearless coming to India, to our institution for bariatric procedure because they will get not what they will get in US but even better in terms facilities, in terms of expertise at a fraction of a cost and you can also visit India and see this beautiful country at the same time. I have had patients not just from the United States but people from all over the world come here for bariatric surgery. They have come from Nigeria, from the UK, from Australia, New Zealand and Canada amongst other countries. We cater to all kinds of patients. I forgot to mention, Middle East including Iraq and Afghanistan. The surgeon has been in practice for a long time. Having done more than 800 bariatric surgeries, the surgeon holds commendable expertise in the field. He has received training in the US, and has treated patients from various countries including US, UK, Nigeria, Australia, New Zealand and Canada. Along with India, gastric bypass surgery in Belgium is also offered at an affordable cost. 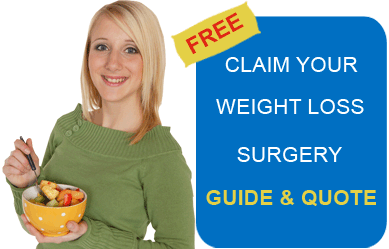 Submit free quote request on the right for cost of the gastric bypass surgery in India or other world class destinations.